There it is — Take it! At the time, before talkies made Hollywood America’s Bartlett, those were the most famous words ever spoken in Los Angeles. 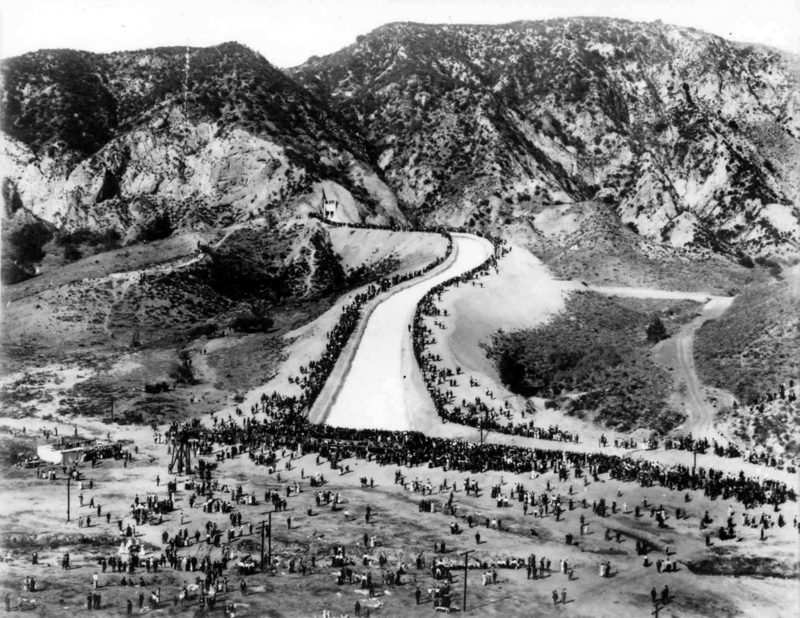 The city’s chief engineer, William Mulholland, addressed a full one-fifth of the city’s population at the lavish opening ceremony for the aqueduct he built. It was 1913, Los Angeles was a small, drought-plagued city. The sluice gate opened, the water rushed into the canal. ”There it is — take it!” he said to the assembled 40,000 Angelenos. And as I was driving down Cahuenga Boulevard, I saw the sign for the road that is the city’s only remaining prominent memorial to Big Bill Mulholland, the man who made Los Angeles possible. 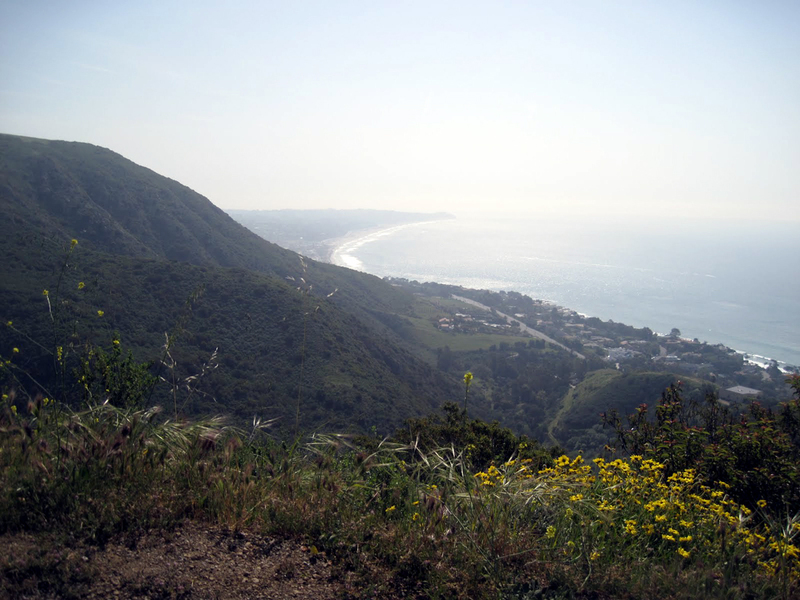 In another of his grand projects for the city, he built a road along the ridge of the Santa Monica Mountains from Hollywood to the ocean, a kind of scenic drive for picnickers and tourists. I saw the off ramp: ”There it is — take it,” I thought. Mulholland Drive Scenic Highway runs 55 miles, on and off, east and west, through several diverse visions of Los Angeles, from the ritziest of exclusive neighborhoods to the most desolate wilderness. It begins in the hills above the Hollywood Bowl and ends at the Pacific Ocean just short of the Ventura County line. Once, the road was nicknamed “Bad Boy Drive” because it was home to such actors as Jack Nicholson, Warren Beatty and the late Marlon Brando. 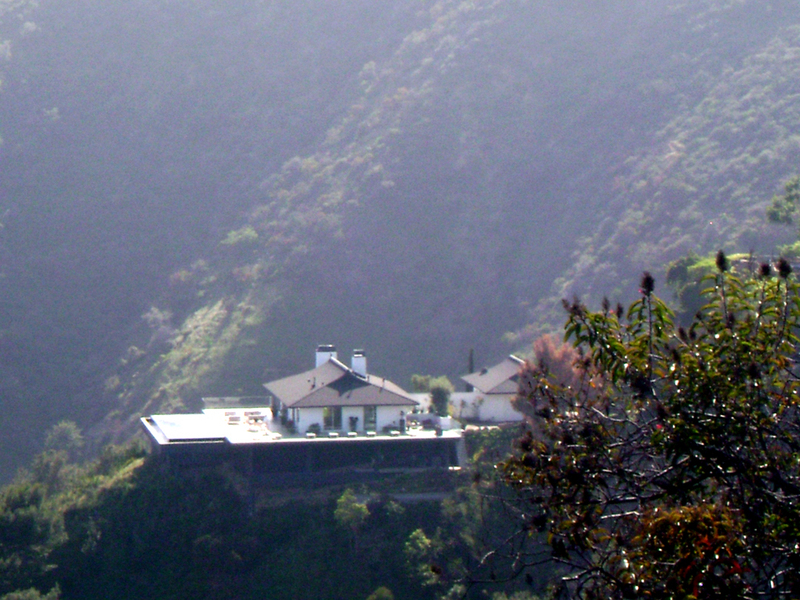 There are still celebrities who live along Mulholland, but now, you are more likely to find the grandiose homes of producers and agents. 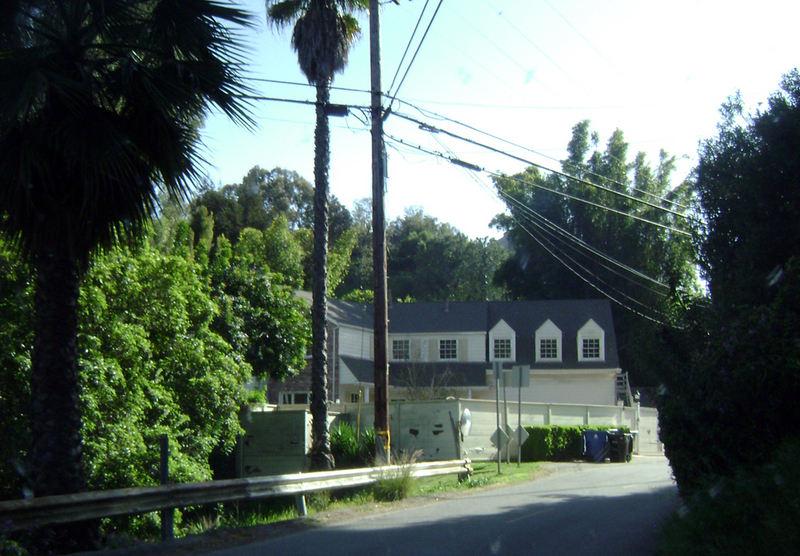 Among those who live, or have lived on this famous windy road are Madonna, Arsenio Hall, Molly Ringwald, John Lennon, Roman Polanski, Ida Lupino, Joan Fontaine, Mary Tyler Moore, Faye Dunaway, and Bruce Willis and Demi Moore (remember when they were the hot couple?) And, of course, Vanna White. But you shouldn’t expect to find their names on their mailboxes by the road. The only names you will see prominently mentioned on signs belong either to real-estate firms or home-security agencies. Every fifth car you pass seems to belong to a private security agency. They patrol the neighborhoods just like city cops. The homes are huge: One mansion-size house just being built turns out to be only the top level of a two-level complex. You can see the second level down the side of a canyon that becomes visible only after you turn a corner. There must be 40 rooms to each section. A six-court tennis compound is built on a platform that juts out over the declivity below. Like much in the first 10 miles of Mulholland Drive, it is a monument to human excess. It probably will be bought by a Hollywood producer. As for turns, the road has a million of ’em. It twists and winds its tire-squeaking way along the narrow ridge crest, with views of Hollywood on one side and the San Fernando Valley on the other. On a clear day — admittedly a rare occurrence — you can see all the way to the Santa Susanna and San Gabriel Mountains to the north, through which Mulholland dug his epic ditch. Standing on one of the neatly manicured scenic overlooks, you can spot the distant reservoirs that marked the terminus of the 233-mile Los Angeles Aqueduct. It is an impressive view of an impressive project. But then Mulholland was an impressive man. At 6 feet tall, with his walrus mustache and hale physique, he was the perfect model of the American self-made man. He was born in Belfast, Ireland, in 1855 and worked as a day laborer and sailor before settling in California at the age of 22. His native energy and drive elevated him from a zanjero, or ditch digger, to the head of the city water department, where he became chief engineer. In the early years of this century, he conceived a plan with former Los Angeles Mayor Fred Eaton to bring water to the parched land by diverting the Owens River through a 233-mile canal — including 53 miles of tunnel and 12 miles of siphon pipes — to Los Angeles. The project took 10 years to finish and claimed five lives, but it brought the single commodity the city most needed — water. The story of the corruption and greed that attended the canal is told in fictional form in Roman Polanski’s classic film, Chinatown. It has the decade wrong and the personality of Mulholland wrong, but it has the greed and corruption right. The scenic overlooks are a little different from those along other scenic highways in America. Their names give them away, for one thing. 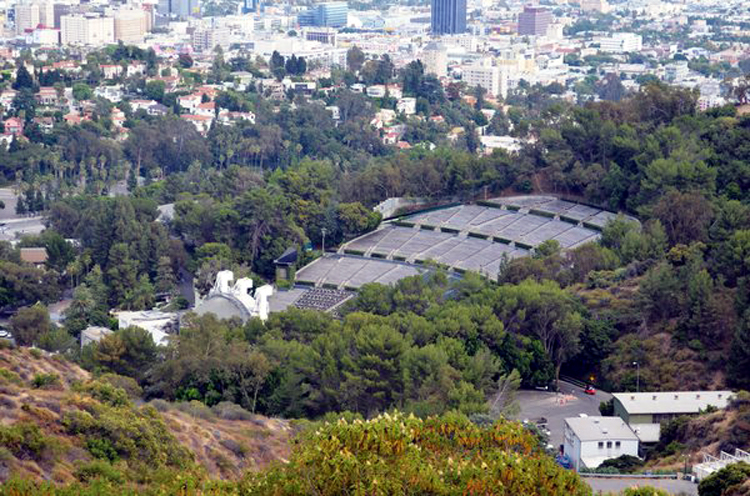 The first is the Hollywood Bowl Overlook. There are familiar put-a-quarter-in binoculars on pedestals along its edge, but the sights are pure L.A. Point 21 on the compass is the castle that used to be Madonna’s house, and as so many, now owned by a Hollywood suit. The next pullout is the Universal City Overlook. The road twists its way as you head west, from the luxury homes to those that are merely outrageously expensive. Outside each house are multiple trash bins for various recyclings. There are also several parks in the canyons lined with brittle yellow shale and Russian thistle. Also on the fence is a bulletin board filled with homemade lost-dog notices. Twelve miles from the beginning of Mulholland Drive, you cross the San Diego Freeway (Interstate 405). Two miles later, and the ride begins to get rough. At Encino Hills Road, the pavement gives out. Cars no longer can ride the gravel road: It’s a hiking path now. It’s a tricky turn because there are no clear road signs telling you which way to go, but Mulholland is the cow path to the left with the deep gullies in it. For the next eight miles, Mulholland Drive is a primitive dirt road, through the heart of what might be called the Santa Monica Mountains wilderness, if only it weren’t for the litter alongside the road and the high-tension lines that cut across the spine of the mountain chain. Mulholland, himself, hit some rough road. 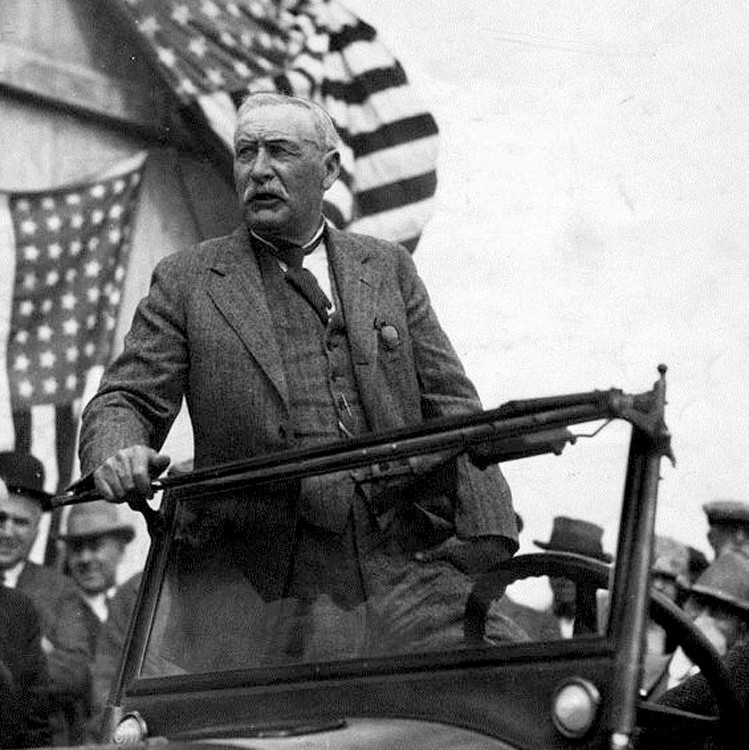 At the height of his success, having built the canal and a dozen dams and reservoirs that allowed Los Angeles to grow from a sleepy little town to one of America’s major cities, his bubble burst. Or rather, his dam burst. 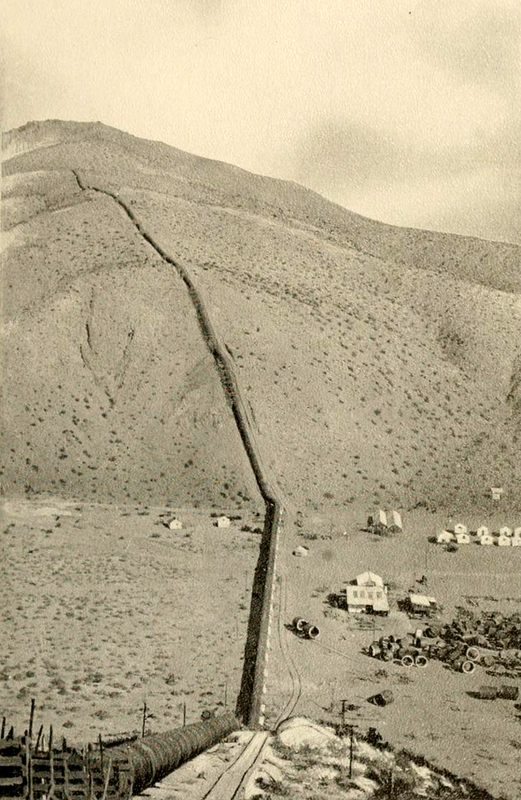 A few minutes before midnight on March 12, 1928, the St. Francis Dam gave way, pouring 12 billion gallons of water down the narrow San Francisquito Canyon and killing 500 people. A wall of water up to 100 feet high tore through the valley and obliterated all signs of human habitation. It left parts of Ventura County under a 70-foot-thick blanket of slimy debris. Fifty years later, bodies still were being dug up. 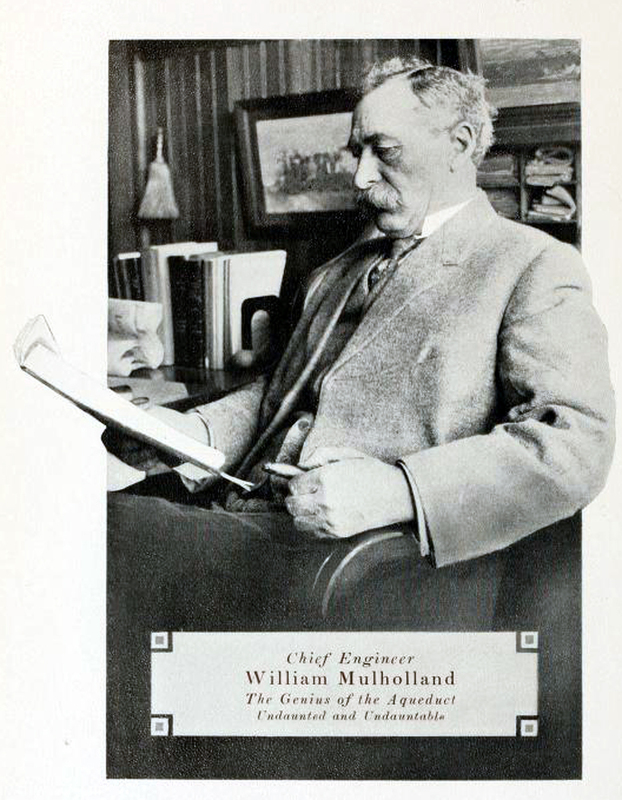 Mulholland was ultimately held responsible for building the dam on a site that was geologically unsound. He always believed the dam was the victim of sabotage by farmers from Owens Valley, whose water he had taken to satisfy Los Angeles. There had been many bombings on the aqueduct. This was merely the worst, he believed. 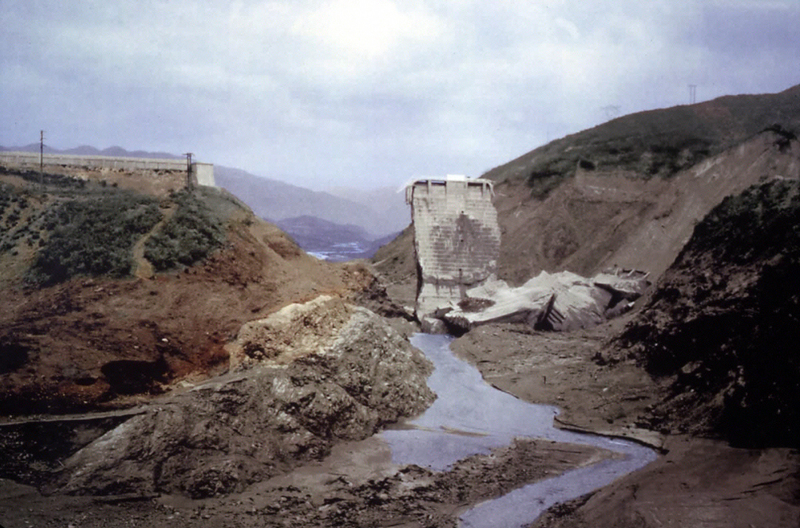 All evidence was destroyed by the torrent of water, so to this day, there is no certain answer for what caused the dam to break, but Mulholland was the man in charge and he suffered the consequences. Public opinion turned. Mulholland Dam and Reservoir was renamed the Hollywood Reservoir. The dam had broken, and so had Mulholland’s spirit. Before that section of the road was closed to automobile traffic, I had the chance to drive the entire route. On the part now closed, all dirt and gravel, the car bounced mercilessly over the ruts, past San Vicente Mountain and a city park that now is boarded up. It was too remote to patrol, and vandalism and graffiti disfigure even the fence around the former parking area. Through most of the unpaved section of Mulholland, I could not drive faster than 10 mph, but the views were stunning. You could also spot a car here or there parked, with a man scanning the brushy hills with binoculars. They were part of L.A. County’s volunteer Arson Patrol, keeping a lookout for miscreants vile enough to set fires in the city’s vulnerable wilderness. At Topanga Canyon Road, the pavement picks up again, and the character of the road changes once more. 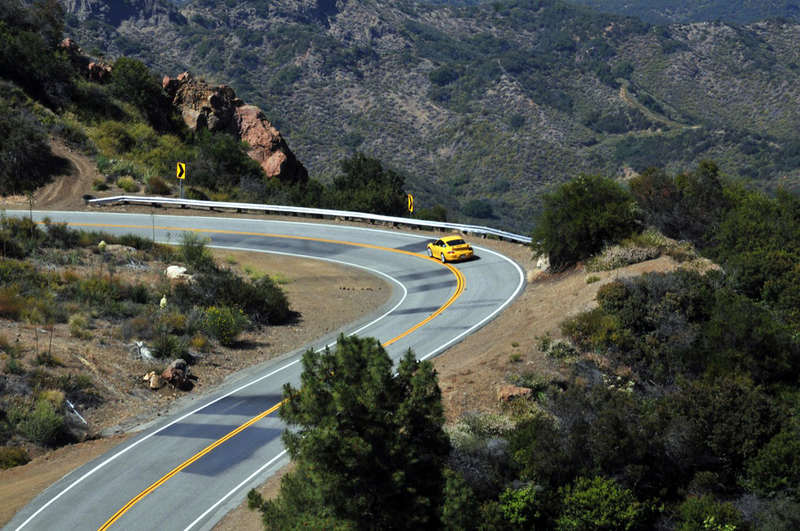 For the next 30 miles, the road — now called Mulholland Highway — is a comfortable rural byway through tiny communities, such as Calabasas, alternating with the Santa Monica Mountains National Recreation Area. There are camping, hiking and horseback riding to be had at such National Recreation Area sites as Rocky Oaks. At the turn of the century, Rocky Oaks was a farm. It was hit by the usual California catastrophes of fire and flood. The Agoura Fire in 1978 destroyed all buildings, and the land was finally bought by the National Park Service in 1980. Its hiking and bridal paths take you through riparian forests to brushy mountain peaks. At Saddle Rock, Mulholland Highway turns toward the ocean. 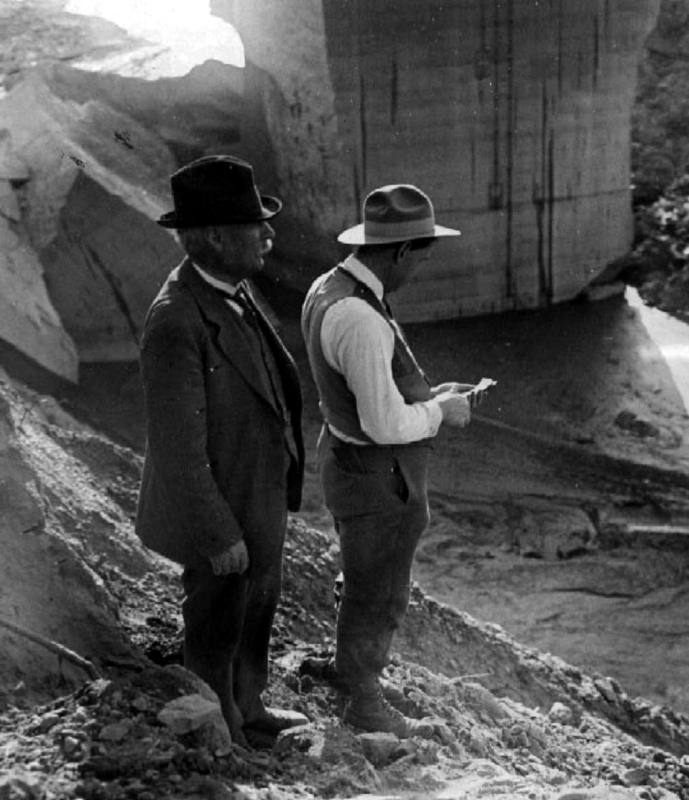 Nine months after the collapse of the St. Francis Dam, William Mulholland retired. He was 73 years old and had worked for the Los Angeles Department of Water and Power for 51 years. He lived out the rest of his life in bouts of depression and increasing Parkinson’s disease. He died in 1935 at 79. He was not forgotten, but the luster of his years of civic service had been tarnished. 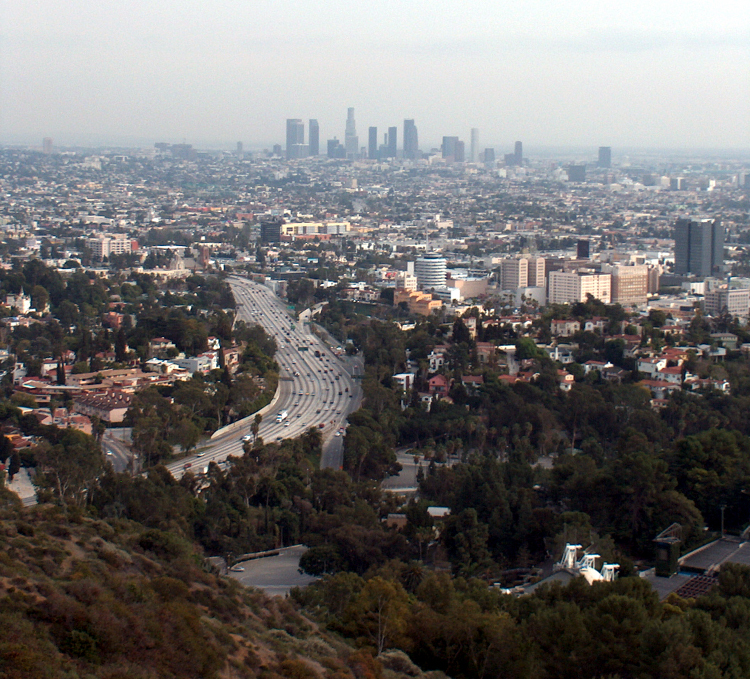 But that slowly changed, and by 1992, after 20 years of citizen effort, the Los Angeles City Council adopted the Mulholland Scenic Parkway Specific Plan. It established the parkway as a memorial to the ”chief engineer” and a review board to shape the environment of the parkway’s unique features and resources. The Santa Monica Mountains Conservancy, along with the Los Angeles Mountains Recreation and Conservation Authority and the California Resources Agency, maintains the overlooks and informative plaques that tell the story of Mulholland and the natural features of Los Angeles, the Santa Monica Mountains and the San Fernando Valley to the north. And if Mulholland’s end wasn’t the crowning glory that his regal life deserved, the end of Mulholland Highway is. As it dumps out onto the Pacific Coast Highway two miles from the Ventura County line, it meets the Pacific Ocean at Leo Carillo State Beach, one of the most beautiful beaches in a string of state beaches along the Pacific Coast Highway. I parked the car and walked to the shoreline, passing a brown thrasher nesting in the dune shrubs. I held still as she flicked her tail up and disappeared into the twiggery. Along the surf, I watched pelicans, dowitchers, sanderlings, gulls and terns. Out in the water, wrapping themselves with kelp were a pair of otters. A pair of fishermen stood on the rocks above the water, their long poles out over the foam, and the redwings chirped their ”ooklaroo” behind me as the sun set over the horizon. It is 55 miles back to the buzz of the city from this spot. It might as well be 55 centuries.